Wedding budget post about our expected wedding expenses! 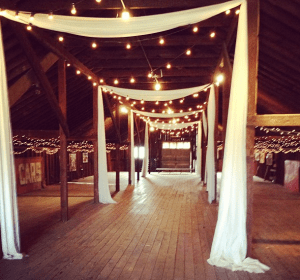 What you've all been waiting for 🙂 The picture to the left is of the venue we looked at yesterday (Kuhs Farm in St. Louis). Anyways, happy Monday everyone. I thought I'd mix it up this week and post about our wedding and our wedding budget. I made a post a couple of weeks ago about some of our (ok they're all my ideas, he doesn't care about anything) wedding ideas. I'm not going to lie, I am so excited to plan an awesome wedding. I am excited for the food, the dress, the venue, the pictures, EVERYTHING! And of course, since I am a personal finance blogger, I have also been thinking about the average cost of a wedding and I've been adding everything up over and over again. I don't expect anyone to help us pay since we have been together for almost 7 years, and moved out of the homes we grew up in 6 years ago. The average wedding cost over $25,000, which is a scary number. The average cost of a wedding seems to be so expensive! 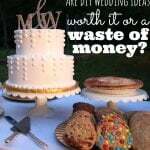 DIY Wedding Ideas – Worth It Or A Waste Of Money? Paying for our own wedding is definitely possible, but I would prefer to spend less than $20,000 since we do want to buy a new house next year. Now, $20,000 is a lot, but we do plan on having probably 200 to 300 people at the wedding. The number was going to be higher but we decided that there's a lot of people that we could cut and make it more of a family and close friends event. Yes, I know most think this is an insane amount to spend (especially in the personal finance world), but I do think it's worth it. I have almost no family. I love W's family, and having a big wedding to celebrate everything is very important to me. I never once had a family gathering in my family, so this means a lot. It'll be fun and if we can afford it, then I see no harm in it. Around 150 people will be W's family (all of them are close family members) and there will be some of my family, and the rest will be friends. I have 8 bridesmaids and W has 9 groomsmen (possibly 10 if we have my brother be a groomsman). So we will definitely be having quite a large bridal party. Also, how many of you invited coworkers to your wedding? Where do you draw the line? I just don't want to upset anyone by not inviting them. It's not like I can say it's only close family, since we will have hundreds of people. So, since we do want so many people at our wedding, and have a budget of less than $20,000, we do need to find ways to save. I will be listing our budget categories below. 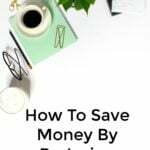 And within the next couple of weeks I will be making a post on how we plan on saving money in different categories. Around 50 people will be under the age of 18 also, so we will be saving money with the fact that they will not need to drink alcohol or eat tons of food (just thought I should throw this out there). This is something that I've of course been putting a lot of thought into. When I say $4,000, I mean just for the actual rental of the venue, with nothing else included such as food, etc. I loved the the wedding venue that we looked at yesterday, but I'm just not super positive that it's the one for us. I did send my friend all of the pictures that I took because I knew she would love it for her wedding. She is in love with it so now I'm positive that my trip to the venue was not a waste. This is my only picture of W's grandma's property. Much prettier in person! We both really want to get married at W's grandmas. The property is beautiful and is over 200 acres with a lot of flat land (perfect for the wedding), cliffs, creeks and everything else. The property is perfect for an outdoor wedding venue, as there is a lot of room for parking and the actual wedding. The scenery is beautiful and just the thought makes me so excited. Even though it is technically “at his grandma's house,” I would still expect it to be a semi-formal event, and I would have to make sure that guests know this (if you don't know what I'm talking about, read my Twitter from yesterday afternoon). If we get married there, it would be slightly more expensive than $4,000 for the venue. This is because I had to price out how much it would cost to rent everything. The clear tent that I want is $3,500, restrooms for the wedding (these would be portable FLUSHABLE toilets – they are called luxury toilets for outdoor venues) and this is $1,500, tables and chairs would be $1,000, and I'm sure there are lots of other little things that we would need to rent such as a heater or air conditioner (depending on weather of course), table cloths, etc. The place that we end up choosing will be for both the ceremony and the reception. This sounds bad to some (some have told me that it's weird to have the ceremony and reception at the same location, however, I don't care), but I want an outdoor wedding so it'll all work! I have already called some caterers. Since I do want an outdoor wedding, most venues are okay with me using my own caterer. Now, don't make fun, but for food I want really tasty comfort food. Preferably catered BBQ. I have seen some really awesome pictures on Pinterest, and I feel like BBQ will make the wedding a lot of fun and more intimate even though there will be a lot of people there. And I definitely want an open bar also. The caterer said she could supply the bartenders as well. She said if I wanted to save money, then I could buy all the alcohol (or at least most of it) and then I would save a lot of money. She also said she would give me a checklist of what to get for the amount of people we will be having. I then also want a dessert table. I would be going to a local bakery for this. I want a table full of cakes, apple pies, sweets and everything. I can never turn down good BBQ! What do you all think of this idea? Am I being stupid/crazy? Please let me know what you think of this idea. I want all opinions! W and I really love this idea, so I'm pretty positive this is what we will do. Wedding attire includes our outfits, makeup, hair, etc. I don't want to spend too too much on my wedding dress. My limit will be $2,000 (unless of course I see something super awesome) but I would prefer to spend less than $1,000. I am really excited for once it's time to start looking. I am waiting on this until the actual venue is chosen and booked though. For his suit, I do like the look of the suits that are on the JCrew wedding section on their website. I'm in love with it all and since W's favorite store is JCrew, I'm sure he will love it all also. I would prefer to spend less than $1,000 on his suit. We want a good photographer for our wedding. I have been pricing this out and expect to spend around $2,000 to $3,000 for this. I'm in love with a photographer and have been in contact with her. She charges $2,000 and has the exact type of pictures that I want. We will be taking our engagement photos soon and that will be around $500 with the same girl. I'm looking forward to those! 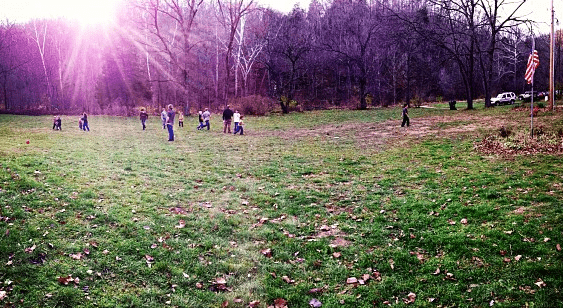 We are waiting until the spring time when everything is pretty outside to do this though. Also, do we want a videographer? I don't really know of anyone who has done this so I am unsure about it and whether it's worth it to hire one. W really wants a band, but I would like a DJ so that I can listen to all types of music. DJs around here are around $500 with everything included (setup, etc.). What did you choose? How much did you spend on music? I do realize that there are a lot of little things that I did not list above. Save the dates, invitations, stamps, thank you cards, marriage license, bridal party gifts, decorations, flowers, etc. If there's anything BIG that you think I've forgotten, please tell me in the comments! I definitely would want to know. We also plan on providing transportation to our guests who are staying at local hotels. Our friend recently started his own limo party bus company, and we definitely plan on using him for this. It'll make it a lot easier on everyone. How much did you spend on your wedding? Does the $25,000 average cost of a wedding scare you? If you have any wedding posts on your blog, please leave the link below! I will read every last word. And if you've ever negotiated on anything in your wedding, please tell me all about that also. We had to cut our headcount. That was painfully accomplished by removing all non-family that my husband or I had met less than 2 times. Now that knocked out most co-workers and personal friends, but we were able to drastically reduce our headcount. And for those that were offended we were able to say… this was the rule… sorry you did not fit the rule. Good friends will understand that you cannot afford to feed everyone. Don't forget to check the clearance racks at David's. I was able to get mine for about half of the cost and I did have a 6 foot beaded lace train (which felt like I was carrying a small child on each hip throughout the whole night). We also kept our alcohol budget down by giving the groomsmen flasks of rum to hand out to guests at the party who they noticed were drinking mixed drinks. As soon as the guest was included they were happy to switch drinking over to rum and Pepsi as they felt it made them a part of a secret circle. Our venue was surprised at how little alcohol was drank at our open bar, but how much Pepsi was consumed. Thanks for the tips! I definitely plan on looking at sample sales and clearance racks. Yes, i plan on telling everyone that there is a dress code. I would die if people showed up in jean shorts and a t-shirt. The BBQ is a great idea, I think anything different you can think of that breaks the mould (within reason of course!) Will make the wedding stand out and be remembered. Most people have an evening buffet over here but we had a hog roast instead which was a major hit! And it was the same cost anyway! Lots of small but inexpensive touches make a big difference as well when it all comes together. I think I am unlike most men in that I really got into helping out with a lot of the stuff. I designed our invitations and we printed and hand made them ourselves for example. I’m sure you can do that too with your computer skills? We found they were really expensive to get custom ones and didn’t want to buy off the shelf. Also made our table plan. I liked art at school so found all that quite fun though! I think you’ve done extremely well with the number of guests on that budget. We had about 95 day and an extra 40 evening guests and came in around £13,000 which is around the $20,000 mark. Thank you! We chose BBQ because we both usually hate normal wedding food – it’s usually bland. I think we're able to keep it down as we are outsourcing the catering and also because we want BBQ. Oh I can't wait to finish my wedding post- I think our weddings will be similar. We had a catered BBQ reception at a local boat club (where most people were outside on the deck that fit 150+ people). We only spent about 11k total for our wedding but only had 100 guests…I scored an off the rack sale for my wedding dress for $450.00,there are deals! Yay! Wedding! It sounds like you know what you want. If you both want to use his grandma's lot, I'd say go for it – provided that it is OK with her. That would save you $4,000 right there, and it would be a very special place for you. Congrats again! It looks like you have everything pretty well planned out. If you do have the wedding at W's grandmas that would be nice. And the flush able porta potties… Who knew?? Haha yes I had no idea about them either! They are air conditioned and look like normal bathrooms. I don't think 20k is a huge amount to spend on a wedding. Costs can add up super quick. after our venue cost which included food and liquor we spent the most on photos coming in under 3k. Those were important to me so I was willing to spend the money. Does the outdoor venue include things like heaters if needed? It seems like it might be more cost effective to go with an established place versus family property. The outdoor venue that we looked at yesterday does not come with heaters. I love the family property 100 times more though. You don't owe your coworkers any explanations on who is on your guest list and why. Just don't discuss it with them. We couldn't invite all our coworkers so we just invited our bosses and the ones we shared an office with. You can't control what anyone wears to your wedding. One of our receptions was (mostly) out-of-doors and some people came in shorts and T-shirts, which I didn't like but it's their choice. The most you can do is try to convey on the website what the dress style is. It's not weird at all to have the ceremony and reception at the same place – I've been to several weddings like this and all that's needed are multiple settings or time to turn the space. We had BBQ at our first wedding reception, too – as it is the local cuisine and my husband's favorite food it just made sense to us. Bonus that it was the least expensive option! Why is W buying a suit instead of renting? We did DIY music, but I wouldn't recommend that if dancing is going to be a major component of the reception. I work in a really small firm, so that's the only reason why I was asking. I do know that I owe no one an explanation. And yes, I plan on telling everyone that there is a dress code. Some people assume that outdoor wedding equals cheap, and some people have already asked if they could wear shorts. I don't know why someone would ask this. He's going to buy a suit because I like the look of JCrew suits the most, and he could use a nice suit regardless. 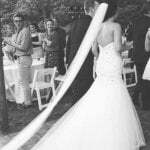 And we would do DIY music, but dancing will most likely be the biggest part of the reception. That's so exciting, I am so happy for you. I would say go with a videographer. We did and I have no regrets. Getting married at W's grandmothers sounds like a great idea. I also love that picture of the venue you visited. Thanks! I will definitely look into one. Isn't it crazy how fast everything adds up? My friend and cousin are wedding planning right now, so I'm going to direct this post to them! Yes everything adds up super quickly. AH! Our budget was $10,000. We cut expenses by making our own centerpieces, shopping for bridal party gifts on Black Friday, and renting a smaller number of chairs for the ceremony than we had guests. The ceremony lasted about 20 minutes – no one complained about standing that long. That's a good idea about the chairs! Thanks Lindsay. Weddings outside of the rural south are so very different! We spent $5000 on everything (less than $20k total for wedding, rings, gifts to everyone and a European honeymoon). We included our friends and family in every detail, and they were so happy to help in lieu of presents. Wild, right? 🙂 I hope you have a sensation wedding day! Sounds like you had a great wedding! Wow I think our weddings are going to be identical, but on different budget scales. Weird! I'm having mine on my fiance's sister's gorgeous property, it's going to be outside, ceremony and reception are going to be in the same place, and it's going to be BBQ. Yes they definitely sound similar. Please post pictures when you have it! What the frick is up with people telling you that they think this or that idea is weird?!? You tweeted yesterday that someone said outdoor weddings are redneck. WTH! Why would you say that to someone who is planning a wedding that may be outdoors? I don’t get it…but anyway I ALSO went to multiple weddings that were in the same location as the reception and I can tell you that it was NOT weird. If anything it was nice not having to drive from one place to another. I think BBQ is a great choice. I'd do what you want because this is your big day. I didn't spend $20K, but we had a much smaller wedding and we did the ceremony in the national forest. Aside from having to chase a few free range cows away, it was free. The reception was inside a few miles away. We did buffet, which was cheaper than servers and had a DJ. I like the idea of a DJ because I've been to wedding where the band played on type of music and no one was into it. A good DJ can feel the crowd and pay what gets them up and dancing. I'll be looking forward to seeing what you choose. I'm definitely excited for BBQ! And yes, you make a great point with getting a DJ. My recent post Would You Spend Money On It? I work in a super small firm (only 3 others), so that's why I guess I don't know what to do. It looks like it is going to be one nice event! Those costs are pretty much on par with what I would expect and have heard from other friends. We had our wedding at 2pm, which cut down food costs significantely. We had our sister-in-law cater and she did AWESOME! Probably spent like $500 on food. We also had the recpention at the same place as the venue, worked out well. It was $2,800 for the rent, but cable with tables and chairs for both wedding and reception. I think I definitely want a videographer now, thanks! And looking forward to your wedding budget post. What a great breakdown – good luck with this and I totally agree about the open bar and spending money for a good photographer! I absolutely LOVE the BBQ idea. I have been to a few weddings that have served up this type of meal, and it was probably by far my favorite. You can't go wrong (mostly, because well, you just can't please everyone) and it's simple and easy to serve buffet style. I also think that having the wedding and reception in the same place is perfectly ok, and actually, I've been to some very beautiful weddings and receptions that were in the same place. Having a dedicated ceremony space separate from the reception area makes it feel like you're not in the same space, and I think your guests will enjoy not having to travel to another place. As for the liquor, I think having a small selection of a nice whiskey, rum, vodka, etc is an easy way to go. My fiance manages a bar, and even in that setting he has found that having a simple selection works better, and people are not spending oodles of time trying to figure out what they want to drink. If you plan to purchase the liquor yourself, I know here anyway, there are discounts when you purchase in bulk. Plus, you can start stocking up now, and build the inventory over a few months time. Liquor does go on sale occasionally! 🙂 I hope this helps! I know! I am sooo excited about the BBQ. And I agree, I really didn't want to make the guests travel from one place to another, especially since there will be so many of them. That way they can have fun in between the ceremony and reception without having to drive. Thanks so much for the drink tips! We got married pretty young. I had barely turned 22 and Joanna was had three days earlier turned 20. Yep… young. 🙂 That being said, we were in a position where my in-laws offered to cover the expenses. It's hard and awful to complain when someone else is picking up the tab, but we both wish that we had waited a year or two to save up for the wedding we wanted, not the wedding we got. No photographer, no videographer, no music, etc. I know that my in-laws traded services for our cake and catered lunch. There might be sponsorship opportunities with your blog with some local service providers. Worth looking into. I'll definitely have to look into sponsorship opportunities. Not even sure how to start that without being forceful, but will do that! I have however been offered save-the-dates and invitations already thankfully! Looks good to me – BBQ and yard sounds fantastic! Those are some fancy sounding toilets! I wish you all the best planning, let me know if there's anything that I can assist with. What a beautiful property his grandma has! With my photographer, whom I know through blogging, she just asked what my budget was. I said I hoped to spend aroudn $1k and she came back saying for that amount I could have her all day (although it's going to be a short, sweet and simple wedding, so probably only 3-4 hours on the actual day I imagine, plus our prep and post wedding editing). Thanks! I love his grandma's house. Very exciting stuff! I'm actually planning my wedding now and got an amazing Vera Wang dress from David's Bridal for $600 (pre-alteration). It's actually the exact dress I wanted and I got lucky that it ended up being half off! My fiancé and I want to get married in New York and found some venues in Brooklyn that are actually wine bar/coffee shops that also host weddings – that means wedding, food, and drink would all be taken care of by them! I've found some very reasonable prices all things considered and think we'll be able to stick to our budget of around $10,000-$12,000. Unless we decide to elope that is ;). Wedding planning is stressful! That's a great deal on your dress! I'm hoping to find a good deal like that. I hope you can get it all in under budget 🙂 At least you know what you want. And as far as the band… if it is the only thing W wants you aren't going to let him have it? Bummer! That venue looks nice. I don't think i will spend more than $5k on my wedding but there will probably be not more 50 people at my wedding. Much cheaper 🙂 Anyways, good luck! My recent post This is my 100th Post!! Go big or go home! It looks like you guys will have an awesome wedding. I can't wait to see pictures! Our wedding was about $20k. My dress was $900, tux rental was $150, the venue was $2500, the cake was $300, the video/photos/DJ were combined for $2500, invitations were $500, my hair/make up/nails were $200, flowers were $1700 (center pieces and bouquets), the food was about $11,250 ($75 pp at 150), and favors were $150. On the plus side, we went to a friend's vacation home for our honeymoon so it was free. I am not including the rings in the total. Thanks for this! 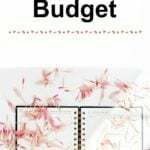 I like to read other's budgets and what they spent. I'm currently working on my wedding budget even though I no where near getting married (at least for a couple more years). I love reading posts like this because it helps me figure out what it's going to cost! Our original budget was $10-15,000, when we were planning to pay for the whole thing ourselves. That was with a guest list of 150. Neither of our mothers found it possible to stick to our rule of 50 guests for us and 50 guests for each set of parents. They each gave us a list of 80, leaving us with -10 guests for ourselves. When we told them they had to cut each of their lists by 30 people, my mom offered to pay for the venue and food with money left to her by my late pop-pop if it meant she could keep all 80 guests. I told her that as long as it meant we didn't have to cut any of OUR 50 guests, she had a deal. It was kind of neat, since the venue and food were basically a posthumous wedding gift from my grandfather. Final guest count was 232 and total wedding cost was about $20,000, but we were very lucky that we only had to spend about $7-8,000 out of our own pockets since the venue and food (all part of the same bill) wound up being more than half the cost. There was lots of DIY, which helped keep costs down: we designed and printed our own invitations and made the favors and centerpieces. That's an awesome deal that you got! Good to know that it's possible to have a wedding with that amount of people for $20,000. Sounds like you've got a really good start! Yay! "Also, do we want a videographer?" – We did one, get in touch if you want to ask (I promise to forward questions onto my wife). Our connections are all on the West Coast, but who knows? We did a DJ, and my wife pretty much assigned me to use my musical prowess on that one. We did intro songs for our wedding party (and he read Bios) and suggested probably half the mix, including Journey at the end (of course). He filled in the blanks. My biggest recommendation to cut costs AND put in a personal touch of your style & personality is to add in DIY elements. We did lots of things DIY & it was fun & made the day our own. I know no one ever has had the same exact center pieces we did, because we made them & the idea was one of my own. AND that saved money & looked awesome. My budget doesn’t even live in the same town as yours as my hubby & I paid for our own wedding while in college but it was still the perfect day! And it really was beautiful. We didn’t hire a videographer, but had one video camera set up to film the ceremony & another friend had a handheld video camera & filmed another angle as well as took a few interviews. My hubby had the role of then putting it all together into a great video for us. He is techno savvy like that. I never did post a blog about that day with all these details, but now I wish I had! We also had friends and family pitch in and bring food. It wasn’t a full meal but more of LOTS of little things…and we had between 250-300 people & didn’t run out of food. That of course isn’t feasible for everyone. We just have so many close family, church members & friends who wanted to help that this was THE PERFECT way & it saved us a ton of money. Also, we aren’t big drinkers & our reception was held at a church, so no alcohol costs was a big money saver for us that obviously isn’t the case for everyone! Check out younghouselove.com their wedding was really cool and didnt cost a fortune. Think outside the box for a unique and fabulous wedding. Most of all, it's about you and your partner. Enjoy it. My recent post What Does a Virtual Assistant Do? I think you should go with a band if that is what your fiance wants. I had booked a DJ for our wedding, but my DH really wanted a band. He didn’t get to pick a lot of the details because he lived three hours away while we were engaged. So he felt a bit leftout. Let him have his band. You won’t regret it. Wedding planning is overwhelming when you have to put down a number isn't it? I don't get the sense that you were one of those girls who thought they'd have their dream wedding from when they were five or anything but it still is hard to put a number down and know that cuts down on options. I'm getting married in May and luckily my parents have been planning for this and are paying for the wedding but I still wanted to be conscientious etc… Anyway, I'm getting married in DC and that's expensive so while this may sound like a lot of money… our wedding is going to be about 28,000 with around 120 guests. It's ridiculous but its much less than we could have spent. Our venue is super reasonable and we cut out lots of flowers to save costs too. Anyway, good luck planning excited to see the results! BBQ is some of the tastiest food in the world… it will be a hit!